You may print with only a color cartridge installed. Follow the steps below. 1. Remove the black cartridge. Close the lid after removing the cartridge. 2a. 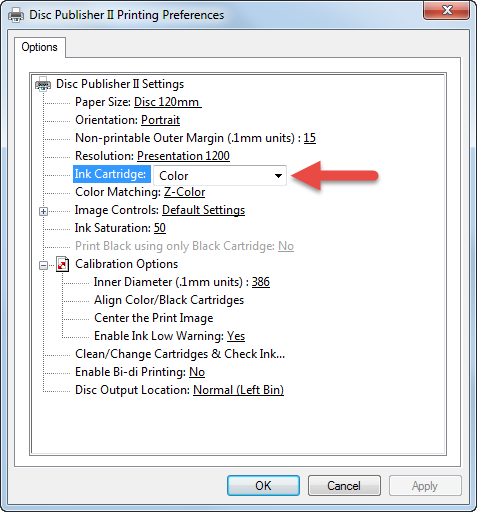 If printing from PTPublisher, on step two (Add a Print File..) set your Cartridge setting to "Color Only." 2b. 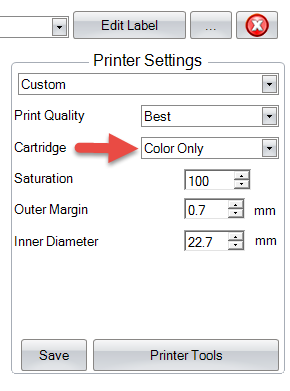 If printing directly from SureThing or any other printing application, set your Ink Cartrdige setting to "Color Only" in the printing preferences screen. 3. Print as you normally would from your chosen application. For any black areas the printer will use all three colors from the color cartrdige to produce black. Tip! For this procedure to work you will need to be on the latest firmware version. Download the version checker/updater here.